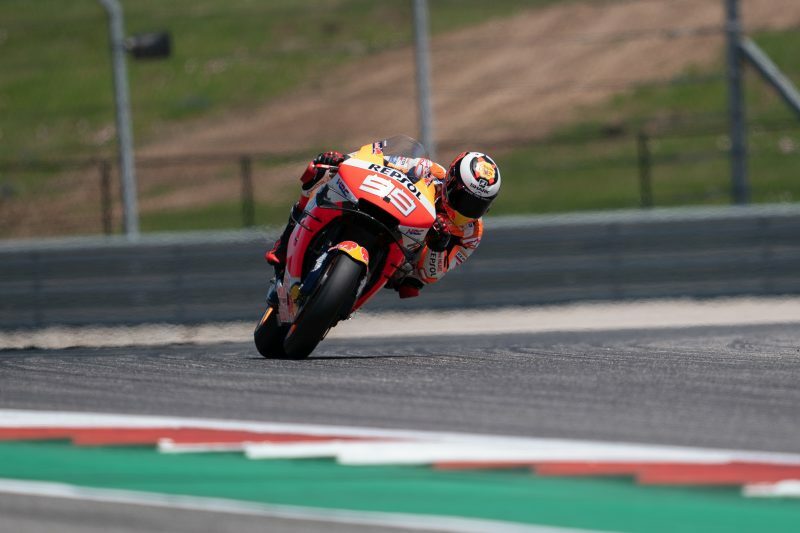 Less than a second split the top 12 MotoGP riders with Marc Marquez finishing second and Jorge Lorenzo 16th on the opening day of practice. 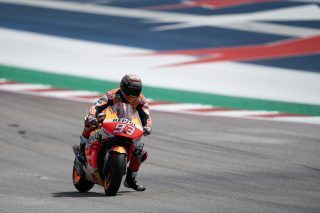 Marc Marquez’s love affair with the Circuit of the Americas showed no signs of stopping as the six-time winner led Free Practice 1 from his first fast lap. 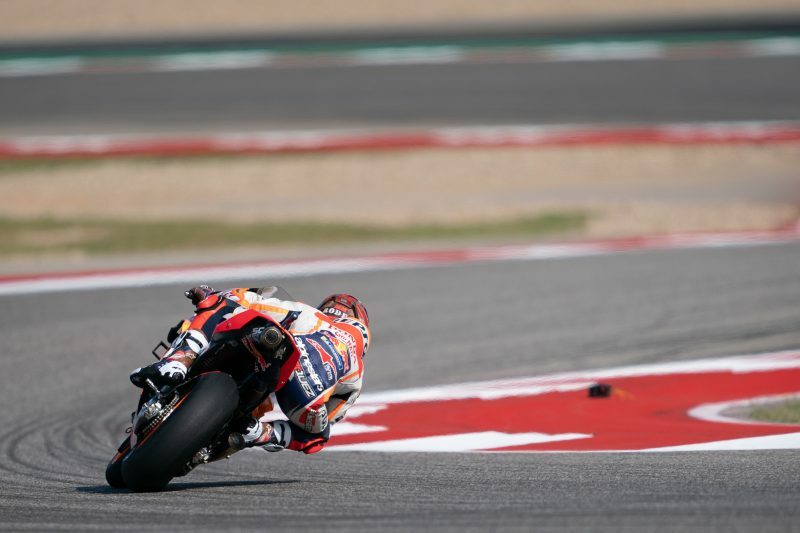 The pattern continued into Free Practice 2 as Marquez improved his lap time on just his second flying lap. 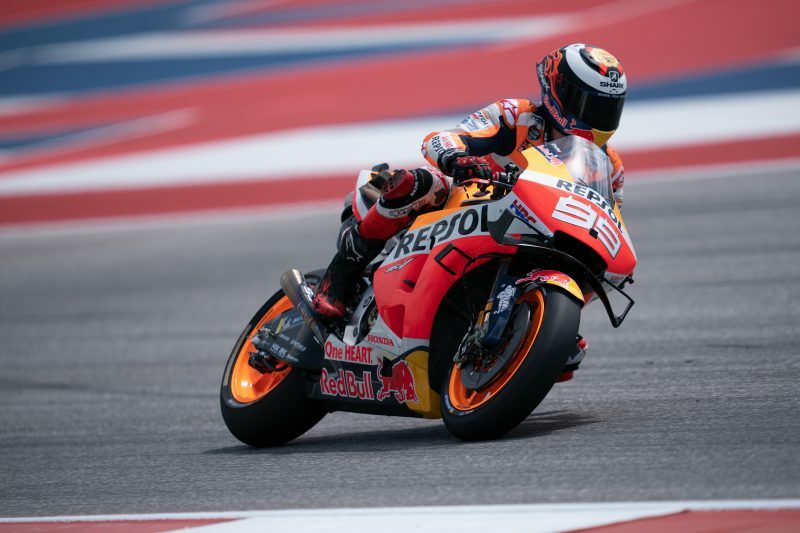 With the track at 41°C and the sky clear above, Marquez produced a 2’03.901 to end the day as the second fastest rider in Austin after a tense final five minutes of on track action. 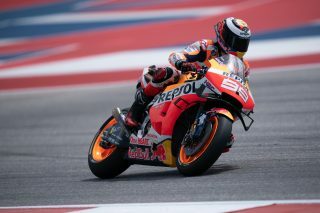 Friday for Jorge Lorenzo was spent adapting his Honda to the unique layout and challenges of the Texas track. 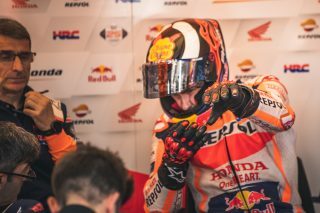 An improvement of over two seconds between Free Practice 1 and 2 left the five-time World Champion feeling pleased with progress and ready to attack qualifying on Saturday. 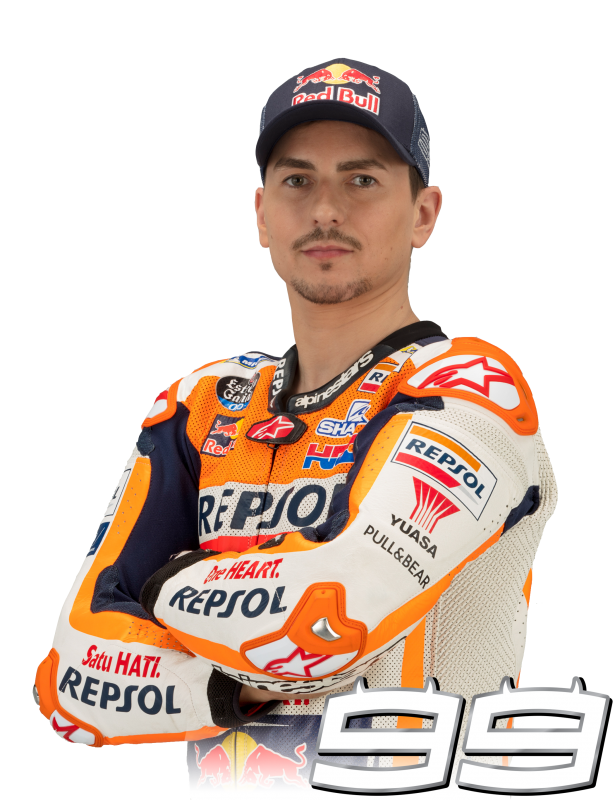 Just 1.312 seconds behind first place, Lorenzo will have a chance to move into Q2 during Free Practice 3 tomorrow should the weather hold. The day also saw 2006 MotoGP World Champion Nicky Hayden’s #69 retired from the premier class as the paddock came together to remember the life and achievements of the Kentucky Kid. 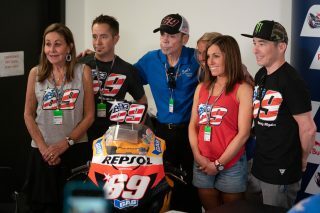 Hayden’s family was joined by Dorna CEO Carmelo Ezpeleta and FIM President Jorge Viegas, who presented Nicky Hayden’s father, Earl, with a commemorative 69. Riders will be back out on track for Free Practice 3 at 09:55 local time Saturday, 13 April. 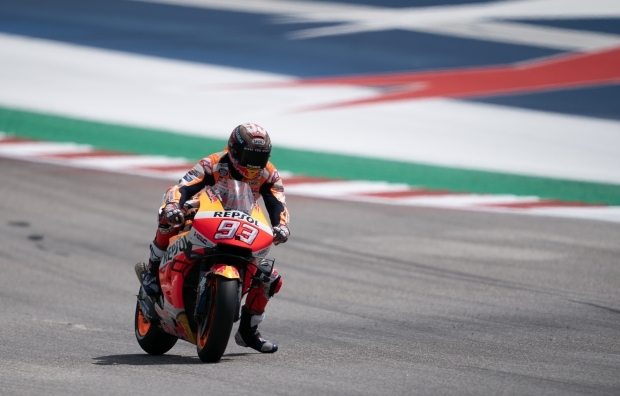 Qualifying begins at 14:10 local time to decide who will start from pole position for the 2019 Americas GP. 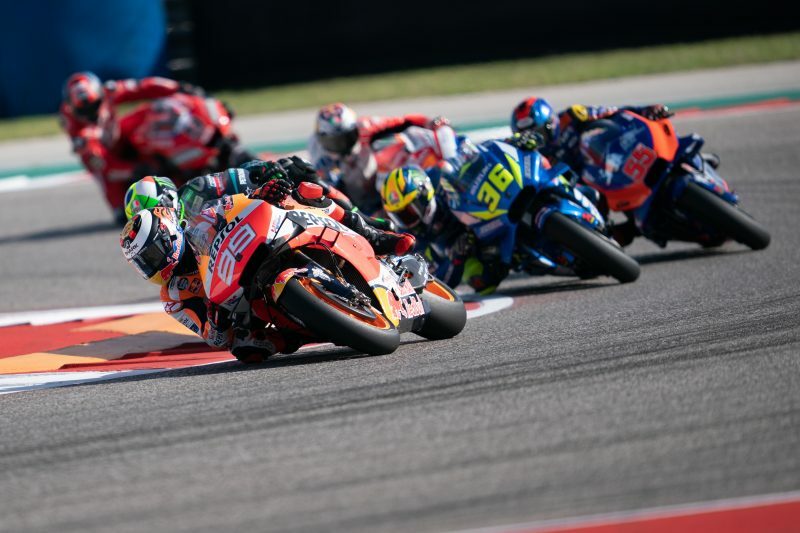 "Today was not a straight forward day, the circuit has changed a lot since last year and it’s bumpy so we had to adapt to this. 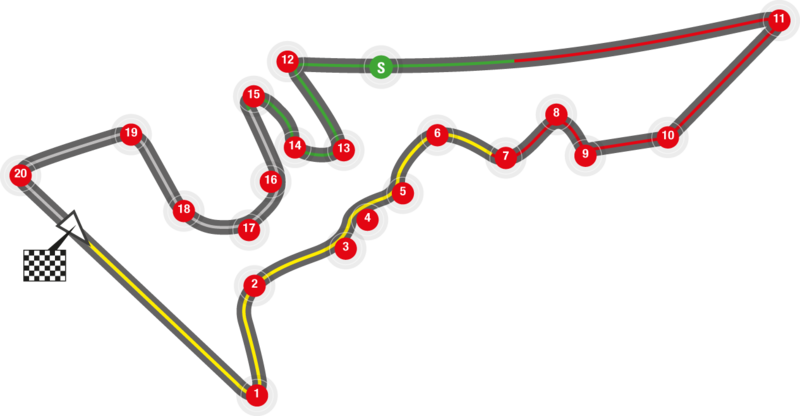 We also had some other areas to work on and some things to try to improve our pace. The rhythm and the pace is there so we are happy and we even tried the soft rear to get a good lap. 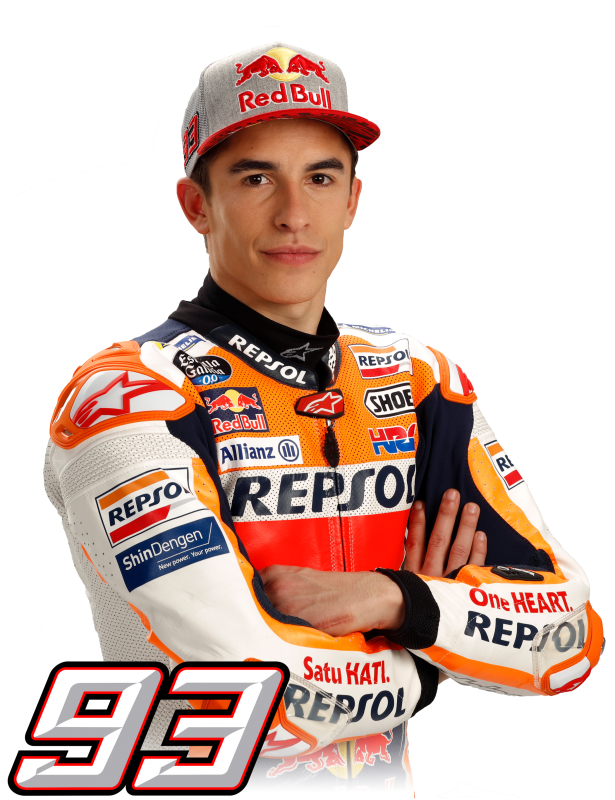 Overall it was a productive day and we did what we needed to. 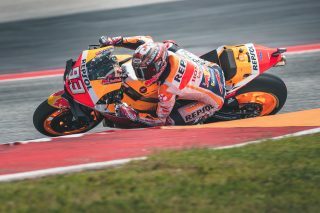 Of course this weekend we also have Nicky Hayden in our minds, remembering a great champion." "A tricky day today. 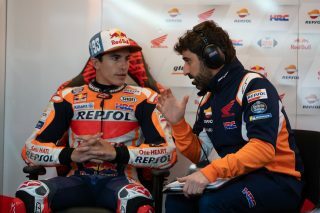 First of all the track is very bumpy for everyone and we need to improve a little bit to handle this. The circuit for me personally is always very difficult so it is quite complicated but we won’t give up. 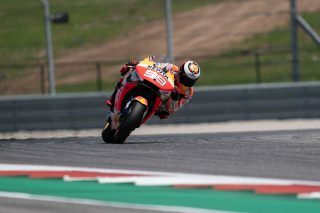 We’re trying many things to improve the bike and still perfecting the ergonomics to feel comfortable when changing direction. It was very special to have the ceremony for Nicky today, we all miss him a lot."